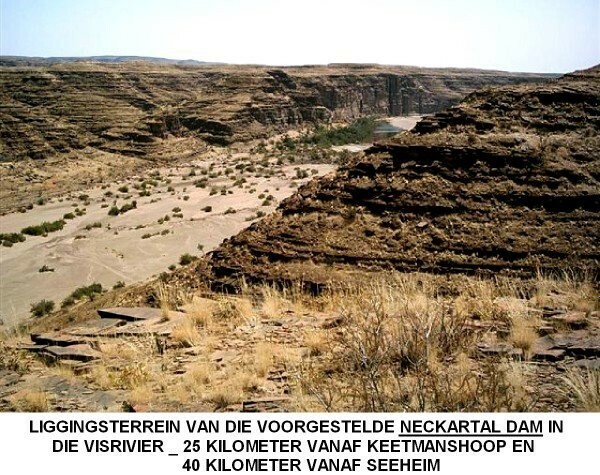 The proposed Neckartal Dam has a catchment area of 45 365 km² with a calculated average annual runoff of 397 Mm³/a. 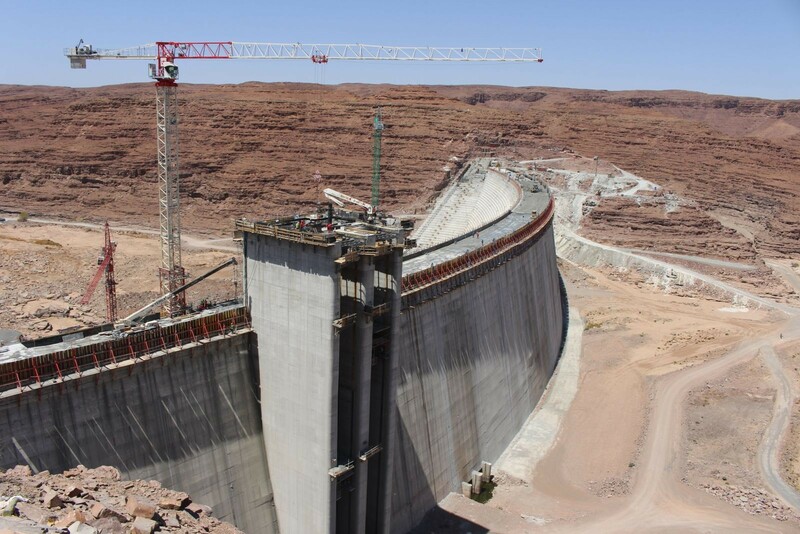 The wall is made from roller-compacted concrete (RCC) and standing around 80 metres high with a wall crest length of 480 m.
The storage volume is expected to be 856 Mm³ and the full supply area may cover 39 km². 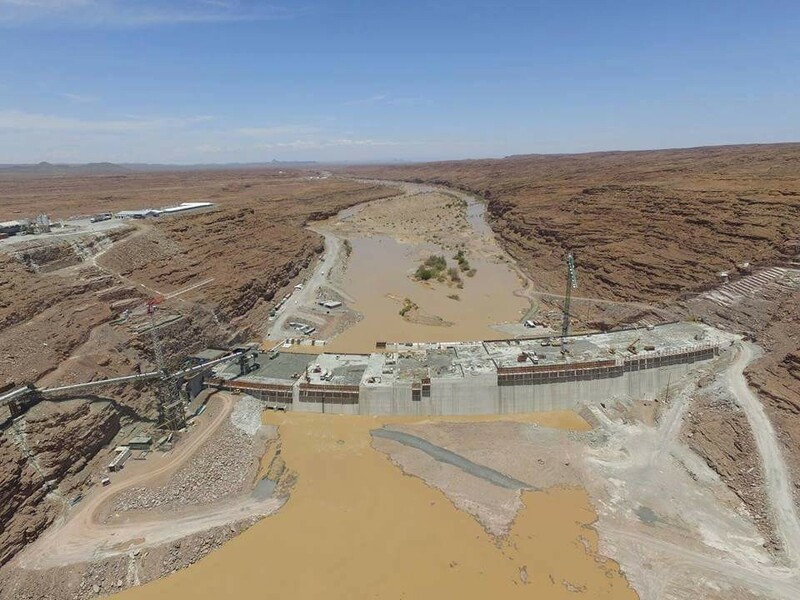 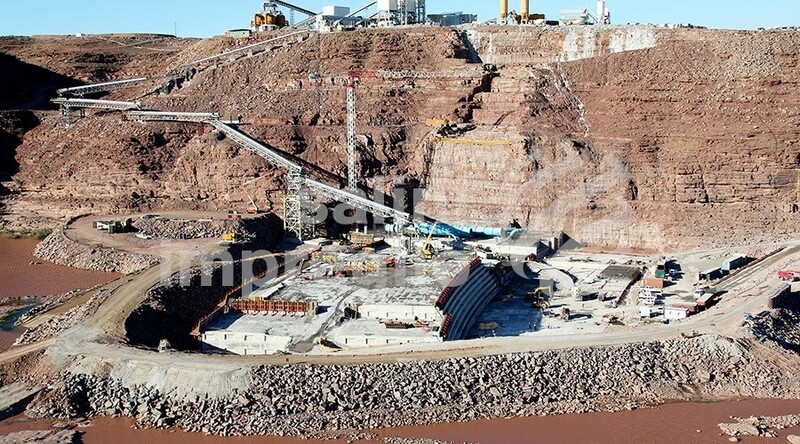 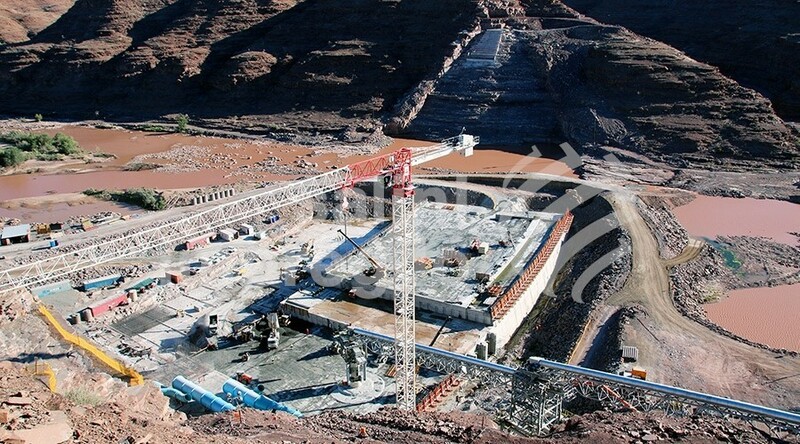 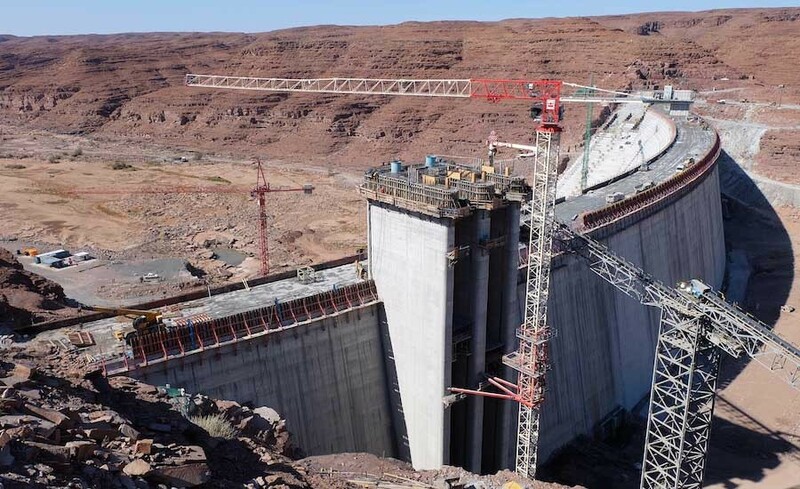 On completion it will be the largest water storage dam in the country and about 3 times the size of the Hardap dam, being presently the largest dam in Namibia. 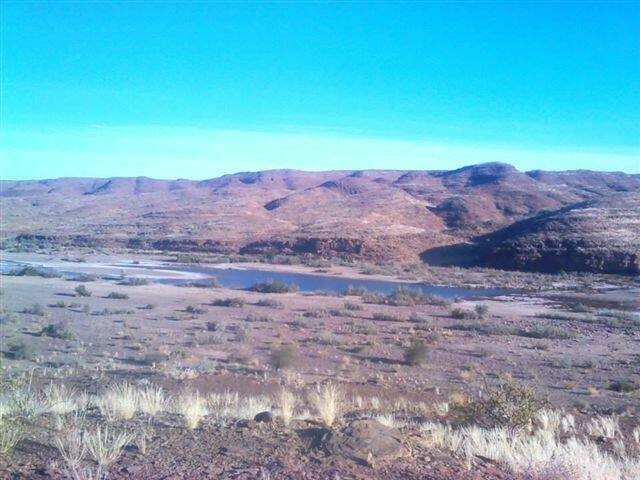 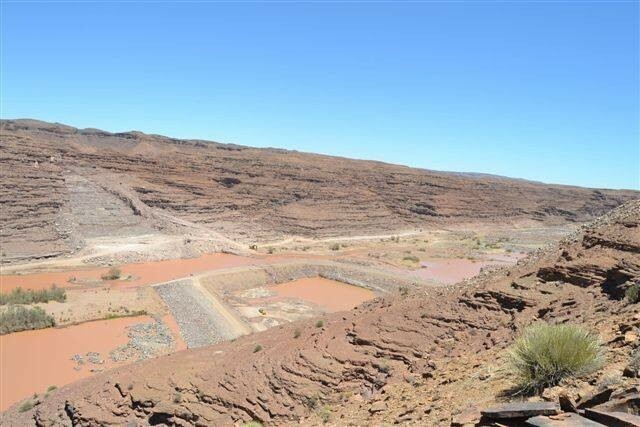 The proposed Neckartal Dam site is situated in the Fish River approximately 25 km north of Seeheim and 40 km west of Keetmanshoop. 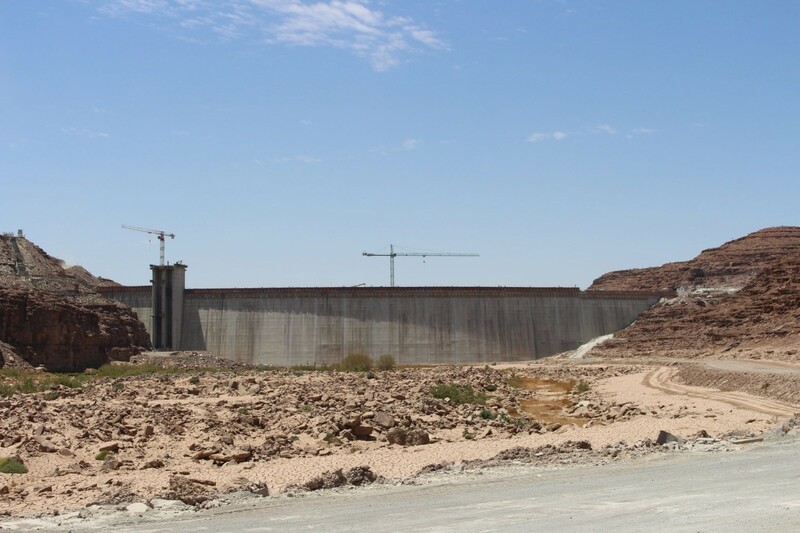 The dam will provide water for the irrigation of approximately 5 000 ha of land to the north and south of the Keetmanshoop to the Seeheim tarred road. 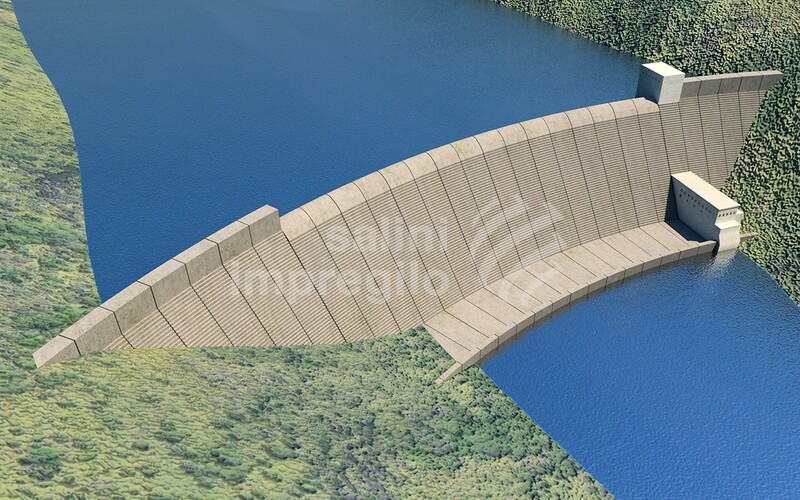 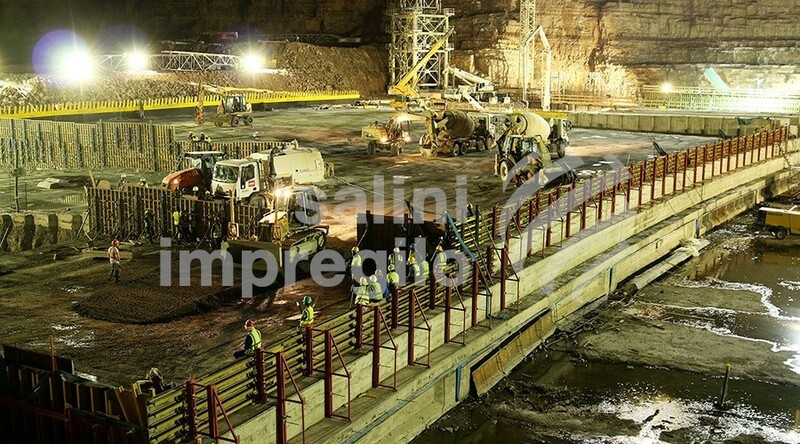 The Italian company Salini Impregilo, responsible for the construction of the Neckartal Dam, has reassured Namibians during December 2014 that the project is on schedule. 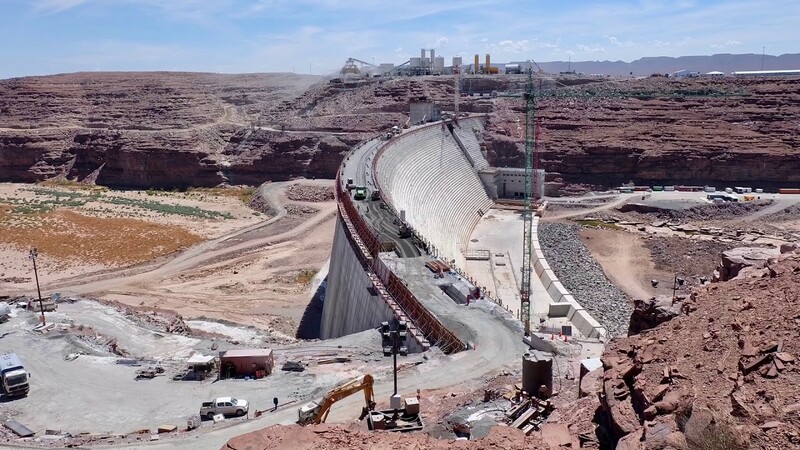 During January 2018 the estimated date of completion was given as October 2018.